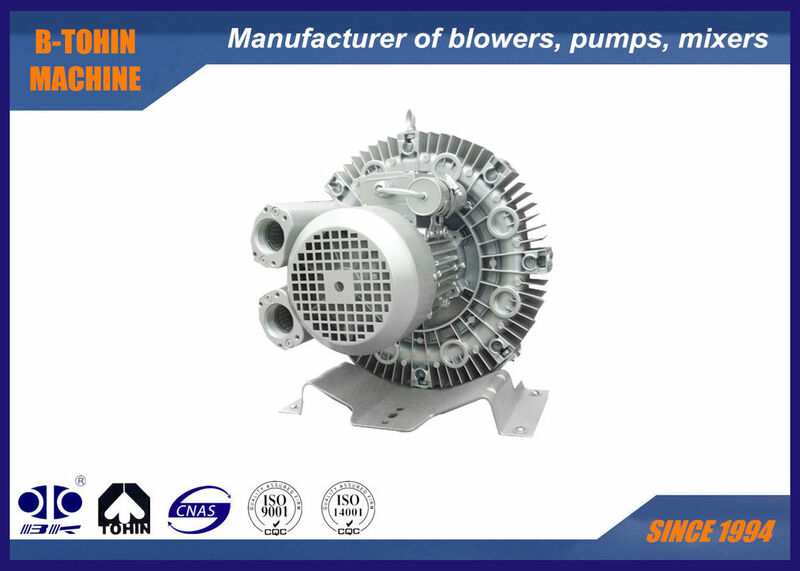 The 4RB series ring blowers, side channel blowers, regenerative vacuum blowers are suitable for both positive pressure and vacuum pressure use. It is well used by various customers around the world and famous for its low noise, reliable performance, non-contacting, dry running and free maintenance. 1) Blade and Cover: Cast aluminum. 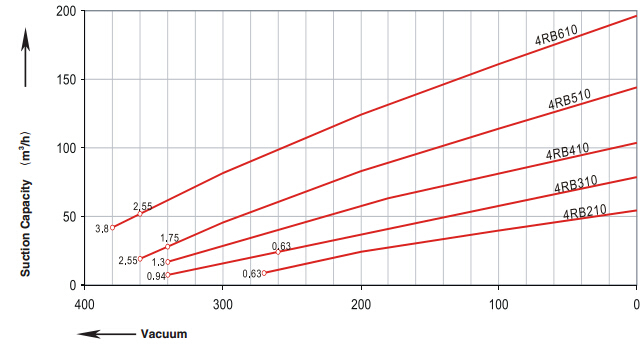 3) Dual-usage: Compressor and Vacuum (suction and blow). 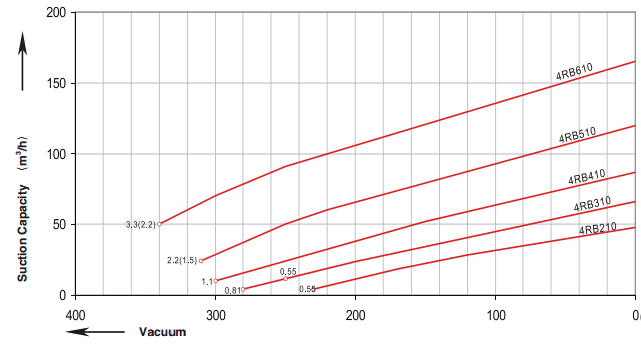 4) Motor of IP54 protection and Insulation class F.
5) No oil, low noise and vibration,maintenance-free. The impellers in the 2RB machines are mounted directly on the motor shaft for noncontact compression entirely without friction. 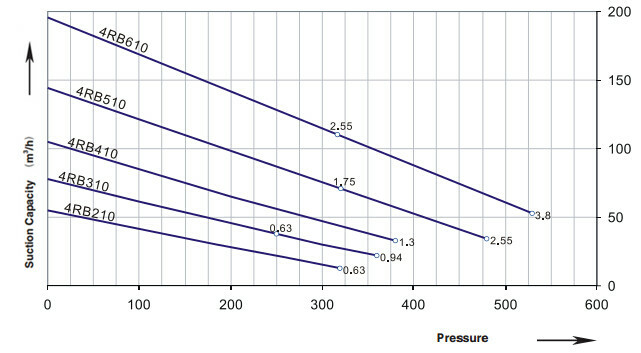 Maximum operational reliability (even at high differential pressure) is ensured by the arrangement of the bearings outside the compression chamber. The gas it takes in through the inlet 1. As it enters the side channel 2, the rotating impeller 3 imparts velocity to the gas in the direction of rotation. 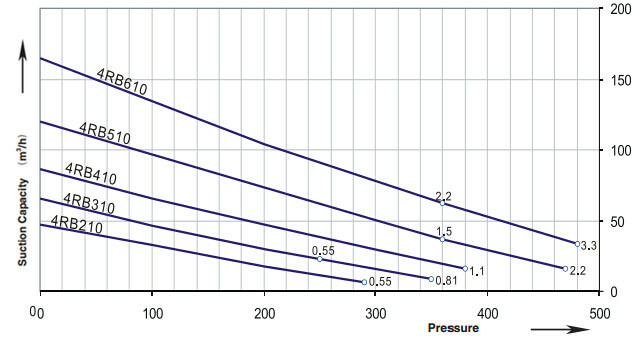 Centrifugal force in the impeller blades accelerates the gas outward and the pressure increase. Every rotation adds kinetic energy resulting in the further increase of the pressure along the side channel. 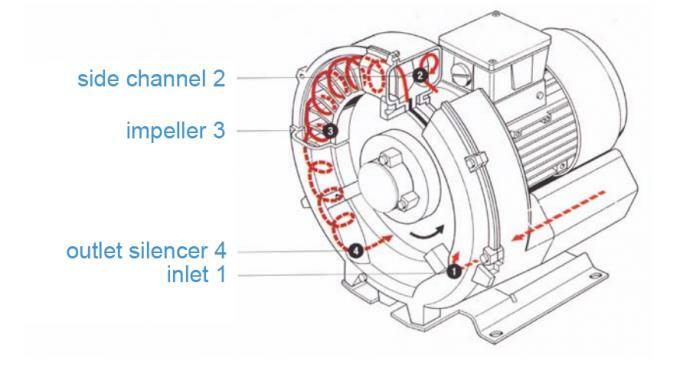 The side channel narrow at the rotor, sweeping the gas off the impeller blades and discharging it through the outlet silencer 4 where it exits the side channel blower.